Cranberries are also a great source of vitamin C, and ginger is well known for its anti-inflammatory properties, as well as aiding in digestion and calming an upset stomach. This simple recipe only requires four ingredients—several of which you probably have in your pantry right now! 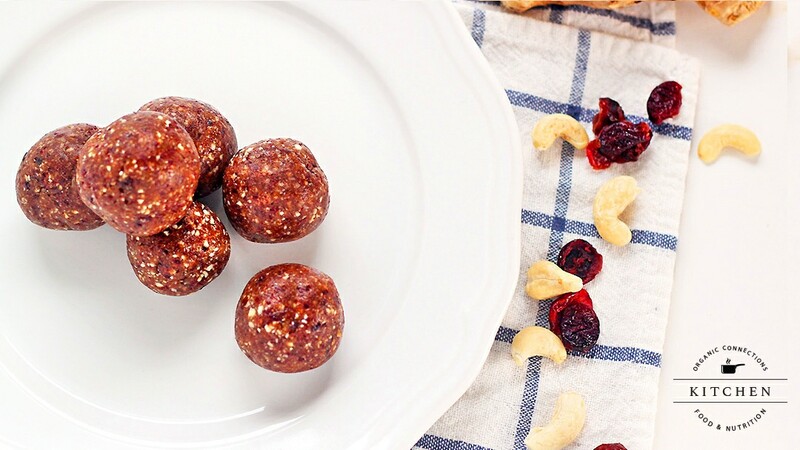 These energy balls keep well in the fridge for up to a week, so double the batch if you’d like to always have some on hand! 1. Add all ingredients to a food processor. Process until ingredients are well incorporated and smooth. 2. Use a tablespoon to portion dough. Roll with your hands into 1-inch balls. Enjoy immediately or store in a sealed container in the refrigerator in a single layer.